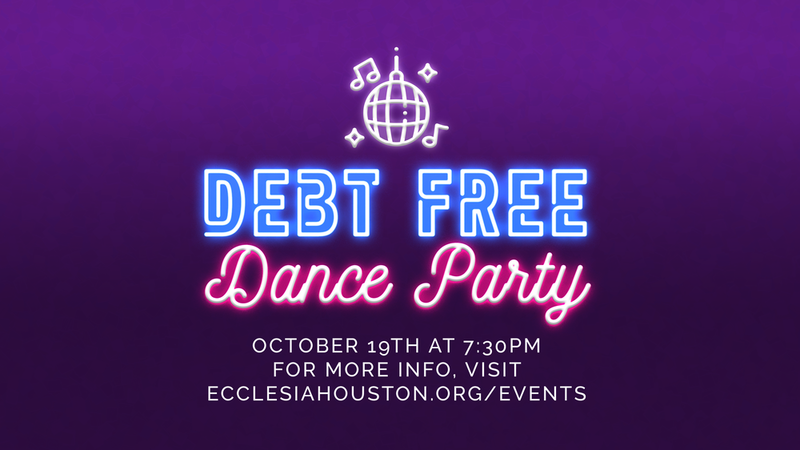 Join us for a party in celebration of Ecclesia being debt-free on our Elder campus. There will be live music (The Fab Five! ), great bites, and terrific company. We’ll also be raising funds to bless our friends at Big Brothers Big Sisters to help them pay off their own building debt. God continues to bless the life of our Ecclesia family, and all that happens at our downtown campus. After 6 years since our move from Taft Street, we are officially mortgage free! This means that your tithes and offerings will be doing even more to impact those in need in Houston, and around the world. We would not have reached this goal without the help of your prayers and generosity, and we want to celebrate this important milestone with a rocking dance party!